One of the most desired muscles that guys want to increase in size are the biceps. That’s understandable since they are a sign of strength. The problem is that despite the will and extreme effort put forth in getting big guns, most guys don’t get the results they are looking for. In fact, they’ll focus on bicep curls 24/7 to get their biceps to grow. Yet other than the initial pump from the blood flowing through the muscle during exercise, absolutely nothing is gained and within 2 hours of finishing the workout, any increase they thought they saw is completely gone. Does that sound familiar? Have you run into this problem? I bet I can tell you why you aren’t seeing results when trying to get python sized arms. 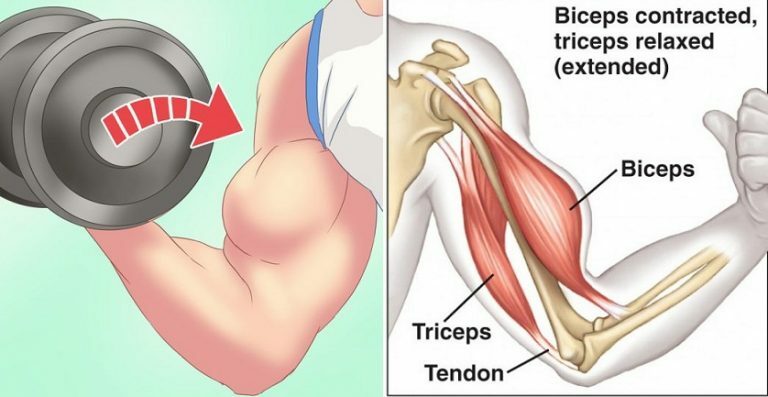 There several reasons why your biceps won’t grow. Here are three of them. What is your timing count when you’re lifting? If you can’t answer that one, you’ve found one major problem with your exercise that is keeping your arms from gaining size. Hypertrophy, (muscle growth state), occurs at the 40 second mark of your exercise. If you’re throwing up 8 reps and not reaching a 5 second minimum count for each exercise, a large majority of your work will be for not. BONUS TIP: Use the negative portion of the exercise to really work your muscle. Ever heard of the phrase, “feed the muscle?” If you have any experience researching muscle building techniques then I know this expression is not new to you. However, what may be new is the actual meaning behind it. When you feed the muscle to create muscle growth, you are simply giving it what it needs when it needs it. So how do you “feed the muscle?” Well, an extremely abbreviated description would be to give your body and muscles the energy it needs for the workout which comes from carbs. Then refuel your body and muscles with the food it needs to grow after the workout which should come mainly from quality lean protein and healthy fats. The pre-workout feeding should happen within an hour to hour and a half of the workout. Your post workout consumption should be as soon as possible after your workout within 45 minutes to an hour, but the earlier the better. Keep in mind that you’ll need to take in excess calories to help contribute to muscle growth. However, these should be high quality nutrient dense calories. (Don’t eat everything in sight.) Keep in mind that protein and vegetable should be consumed with every meal. If you’ve taken your biceps to a state of failure or extreme fatigue in your workout, which you should if you want the huge guns, then rest and recovery is the next phase of the building process. You’ll need to give them 24 to 48 hours minimum to repair and recover in order to handle the next load you put on them.